How can a creditor collect from you? Assuming that you can’t reach a voluntary repayment agreement with a creditor, what can the creditor do to collect from you? Generally, a creditor must get a judgment against you before the creditor can use legal procedures to force you to pay. A judgment is a final decision in a court case that establishes the legal rights of the parties. Examples of judgments include a “guilty” or “not guilty” verdict in a criminal case and in a divorce case, the final determination that the parties are now single and can re-marry if they choose. In a collection case, it is a decision by the court that you owe the creditor X dollars, and now the creditor can use whatever legal means are available to collect. The Judgment Debtor’s Examination. The creditor can get an order from a court requiring you to appear in court answer whatever questions they ask you about your income and your assets. Usually this order also requires you to bring in your bank statements, wage stubs, tax returns, and any other documents relating to your financial affairs. If you fail to appear for this court hearing after being validly served with the notice, the court can issue a “bench warrant” for your arrest, and you can be arrested and held until you either pay the bail or the creditor has a chance to question you. The creditor can only have you brought into court once every six months. This is actually not a method to force you to pay, it is just a means of gathering information. It is, however, one of the more effective tools in the creditor’s arsenal, because many debtors would rather pay the judgment than have to go into court. A Wage Garnishment. If you are earning regular wages, the creditor can serve an order on your employer requiring that 25% of your net wages be sent to the court, which in turn sends the money to the creditor. If you are self employed, or an independent contractor, a garnishment order can be served on anyone who owes you money. Bank Levy. If you have money in a bank account, and the creditor finds out where your bank account is, the creditor can get a court order requiring the bank to turn those funds over to the court. Seizure of Property. If you have any property that is not exempt, the creditor can get a court order requiring the sheriff to seize that property, sell it, and turn the proceeds over to creditor. The creditor can do this with real estate also, although the procedure is more complicated. 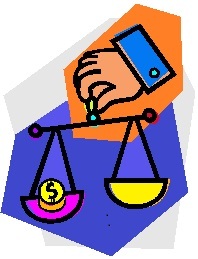 When the creditor gets a judgment against you, the creditor can file an "abstract of judgment" with the court. The creditor can then force a sale of the house, or wait until you sell the house and then get paid from the proceeds of the sale. Install a Keeper. If you own a business, the creditor can have the sheriff’s office send a "keeper" to your business, who takes any money that comes into the into the business, whether by mail or by a customer making a purchase. Do you have a creditor threatening a lawsuit? Have you been served with a collection lawsuit?